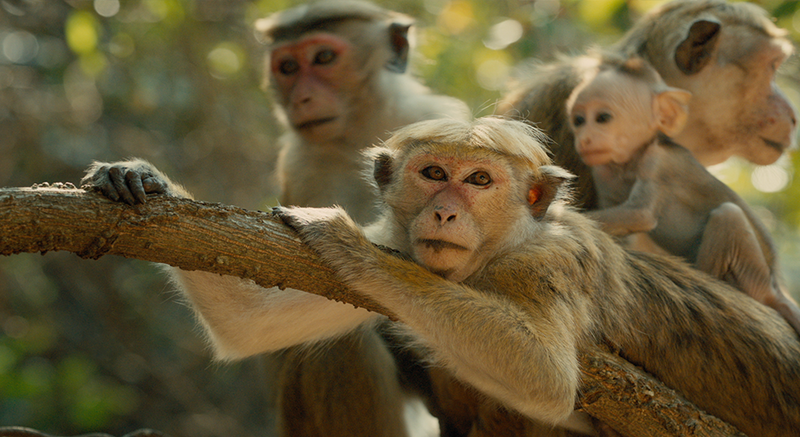 Monkey Kingdom (film) A Disneynature documentary, released on April 17, 2015, after an April 16 release in Argentina. The story of a newborn macaque monkey, Kip, and its mother, Maya, and their struggle for survival, set among ancient ruins in the storied jungles of South Asia. Directed by Mark Linfield and Alastair Fothergill. Narrated by Tina Fey. 81 min. Filmed in Sri Lanka.